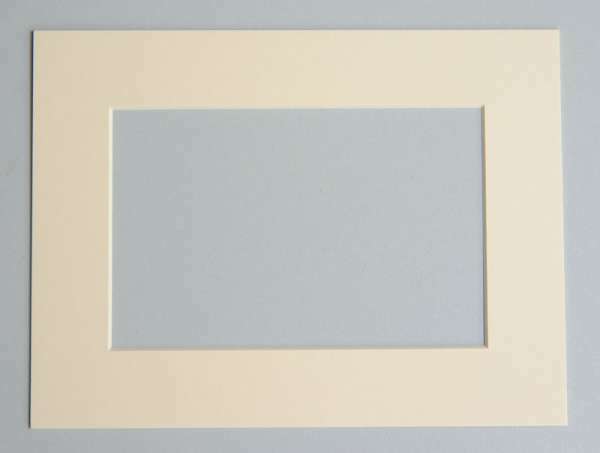 Cream Frame Mount - Takes picture size 6x4 and fits an 8x6 frame. Our new bevel cut frame mounts are high quality with a modern and professional look. These are non strut (do not have backs) and are suitable for framing your photo inside a frame. These frame mounts can be used for horizontal or vertical 6x4 prints, have a bevel cut aperture and will fit any 8x6 frame.